No one enjoys seeing a cockroach. They aren’t the most appealing pests in the world, but they may be one of the most interesting. Here are ten crazy facts about them! 1. Bacteria live in them & help them survive. Cockroaches have bacteria in their bodies they inherit genetically. 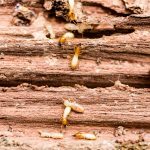 These bacteria feed off the roach and, in return, provide vitamins and amino acids the roach needs to survive. Meaning they can feed on just about anything and still get the nutrients they need to survive. 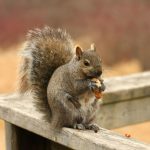 They are natural garbage disposals, eating organic waste in nature. The bacteria in their bodies, combined with their genetic makeup, allow them to eat pretty much anything and go without food for months. Cockroaches have been around since primitive times, dating back almost 350 million years. They looked slightly different back then, but the roaches we see today look the same as they did 200 million years ago. Cockroaches have six legs and, once they start moving, cockroaches can go about 3.4 mph. Considering their size, that’s pretty far. If cockroaches were the size of humans, their length-to-speed ratio would convert to about 220mph. 5. They like to “feel” things. Cockroaches are attracted to small spaces and cracks. 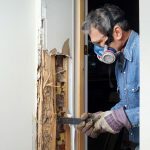 They can squeeze through most holes and enjoy the sensation – or pressure – associated with this. 6. We have it easy in the United States. Our cockroaches are domestic, far removed from their tropical cousins. In Peru, there are cockroaches with 7-inch wingspans. Mexico? They have the “giant cave cricket,” which grow to roughly 4 inches in length. How about Australia? Their cockroaches weigh in at about 33.5, which is more than an ounce. 7. They don’t need heads. Cockroaches can go up to two weeks without their heads, due to not needing them. 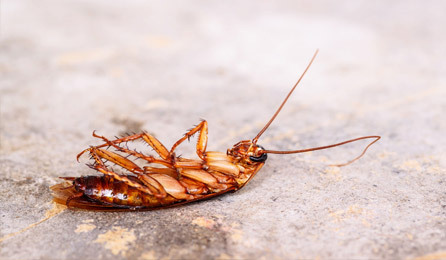 Cockroaches don’t bleed; they breathe from their sides, and they can go weeks without food. 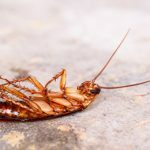 If a cockroach loses its head, it’ll most likely die from dehydration or starvation. 8. Cockroaches can hold their breath for a long time. Cockroaches breathe through their sides, using small tubes called spiracles. These tubes transport water vapor and aid in the way they regulate water loss. Long-story-short: cockroaches can survive underwater for a long time and hold their breath for almost an hour. Cockroaches can, and will, eat just about anything… Including other cockroaches. When food is scarce, cockroaches will begin to eat one another. Another reason is if their population gets too large, in comparison to the food source, they’ll start to eat one another as a type of population control. 10. Cockroaches enjoy a nice, cold beer. Cockroaches have shown a remarkable fondness for beer. The hops and sugar in the beer tend to be the primary attractant. Cockroaches are fascinating pests when it comes to their unique traits. 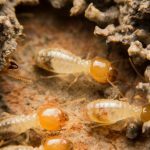 This list could be much longer, as cockroaches have a long list of crazy features and genetic characteristics. They are interesting, as long as they stay out of our homes. Cockroaches are a lot of things, but they’re not good roommates. 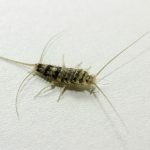 So, if you have seen a cockroach lately, or feel like you may have an infestation, contact us today!